Rivanna Solid Waste Authority (RSWA) owns and operates the Ivy Material Utilization Center (Ivy MUC) located in Ivy, Virginia. The authority members are the City of Charlottesville and Albemarle County. The Ivy MUC consists of the now-closed 76 acre Ivy Landfill and an operating transfer station. The landfill was open in 1966 and operated for 35 years until it was closed in 2001. The closed landfill now monitors ground and surface water, the perimeter of the landfill for methane migration and ambient air for landfill gas and odor. The Authority maintains an active landfill gas collection system and a enclosed flare for gas destruction. In addition to various activities related to post closure care of the closed landfill, the Ivy MUC is operating under a 2004 Corrective Action Plan for groundwater impacts. Groundwater and surface water at the facility is monitored on a semi-annual basis under a variety of regulatory and non-regulatory programs. 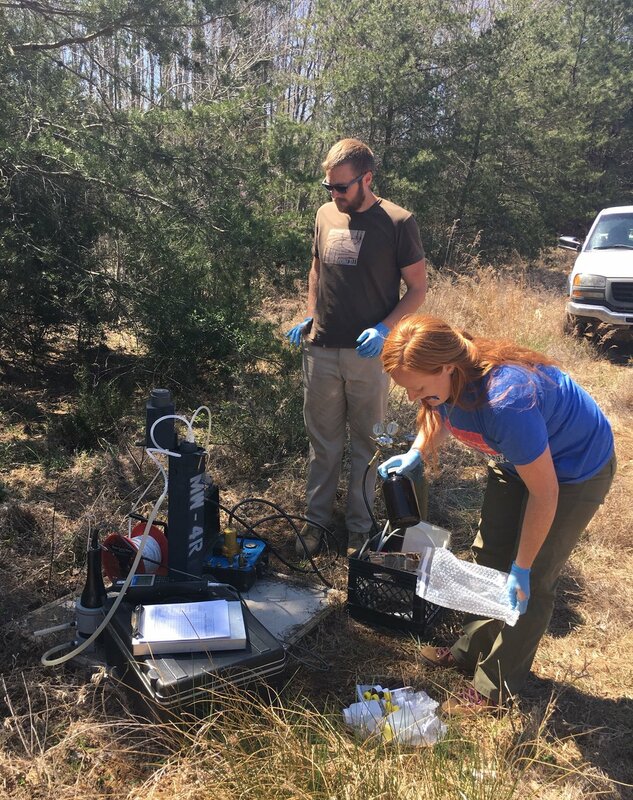 Resource scientists and technicians complete the required field monitoring in accordance to the master sampling schedule. Appropriate samples are delivered under Resource’s care to the analytical laboratory with appropriate documentation to maintain the chain of custody. When Resource receives the certificate of analysis it completes the data validation, evaluation, statistical analysis and regulatory reporting to demonstrate compliance with federal, state, and local requirements and agreements. When and if a point of non-compliance is identified, Resource notifies the client, implements a verification sampling protocol consistent with regulatory directives and assists the client through the regulatory reporting and remedy process.